Recently I’ve stumbled upon this great writer and artist that has some really cool ideas, poems and artworks. 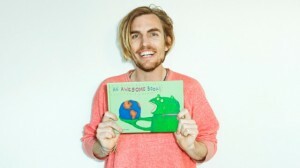 His name is Dallas Clayton.The reason why I decided the mention him is because he has written a book for children in which he explains the importance of following your dreams. Although this book is written for children, I really like the idea it represents. Even adults need to be reminded sometimes that dreams are worth having around. If you’re interested in the book I’m talking about, click this link. You can read it online for free or have it read for you! Definitely worth checking out! Most of the time we don’t realize just how much influence our ideas and mindset can have on our life. If we believe we can do something we are already one step closer to actually getting that thing that we want. Anyway, thought this was an idea worth sharing!